As the long form of Tradition Three clearly states, "Our membership ought to include all who suffer from alcoholism. Hence we may refuse none who wish to recover. Nor ought A.A. membership ever depend upon money or conformity. 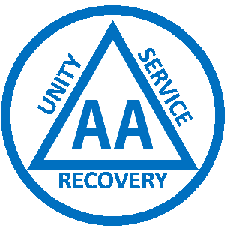 Any two or three alcoholics gathered together for sobriety may call themselves an A.A. group, provided that, as a group, they have no other affiliation." You are a member of A.A. if you say you are. You can print out a meeting schedule from this website for the Augusta area. Once you locate a meeting you would like to attend, just show up. It costs nothing to attend. There are different types of meetings. Closed meetings are for A.A. members only, or for those who have a drinking problem and "have a desire to stop drinking." Open meetings are available to anyone interested in Alcoholics Anonymous' program of recovery from alcoholism. Nonalcoholics may attend open meetings as observers. We may use last names within our group. At the same time, we respect the right of other members to maintain their own anonymity however they wish, and as closely as they wish. We repeat no one's personal sharing made in A.A. meetings. The word "anonymous" in our name is a promise of privacy. Besides, the only story of recovery we can truly share is our own. A.A. pamphlet "The A.A. Group...Where it all begins" provides additional information. Copyright © 2015 12th District Central Office. All Rights Reserved.